No more rusty clamps! Now joining pipe couldn't be easier. 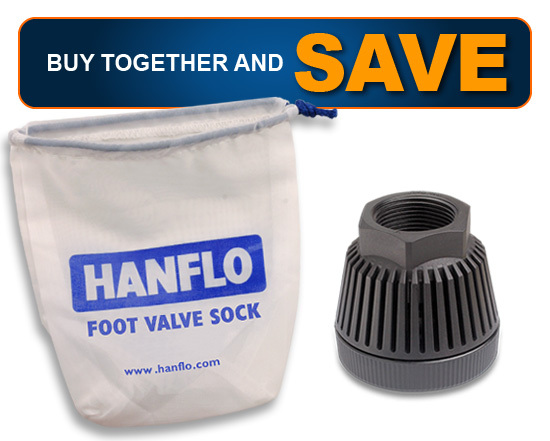 Hanflo poly pipe fittings are a one piece quick connect easy to install fitting that takes the hassle out of joining pipe. Simply push on the fitting, tighten and your done! Tested with burst pressures exceeding 500psi, they provide a permanent vice like grip to the pipe that's leak free and best of all healthy with no metal parts to rust or corrode. 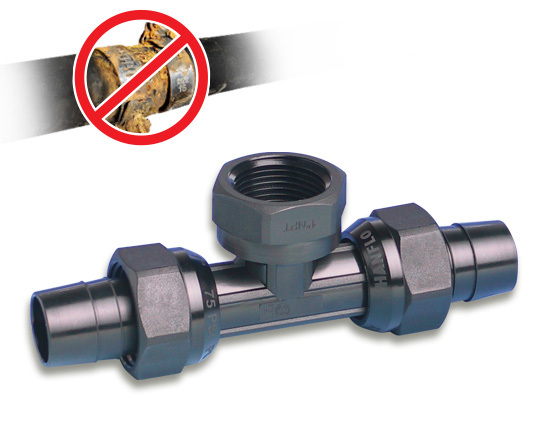 Fittings ship with nuts that are compatible with S&I (Standard & Irrigation) Pipe. 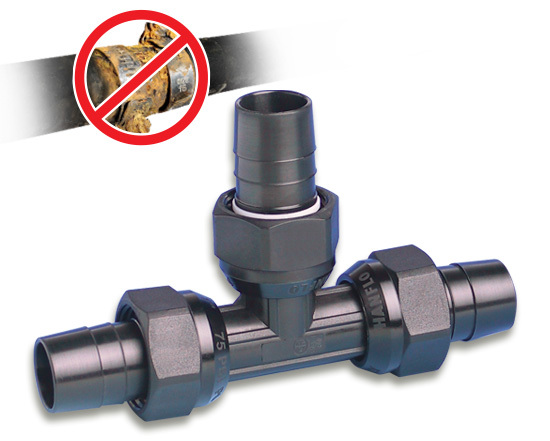 If you intend to use the fittings with CSA 100 pipe, please also purchase the correct sized CSA 100 PSI nut and swap it out on the fitting.